This guide provides a quick overview of the different common disabilities some college students have and the different resources and technologies available to them. It is truly incredible how many different applications and software programs are out there made just to help students get by in school even with their disabilities. That said, attending college can be very positive and life-changing experience! For many, disabilities do not hinder them from learning and working hard towards the working world. There are a countless amount of disabilities and impairments students may have. Some of the most popular ones include dyslexia, autism, physical disability, hearing impairment, ADHD, and speech disability, to name a few. Luckily, there are many resources out there now to make students’ transition into higher education less stressful. Dyslexia is a disability characterized by difficulty in learning to read, comprehend words, and interpret symbols and letters. This disability does not affect general intelligence. 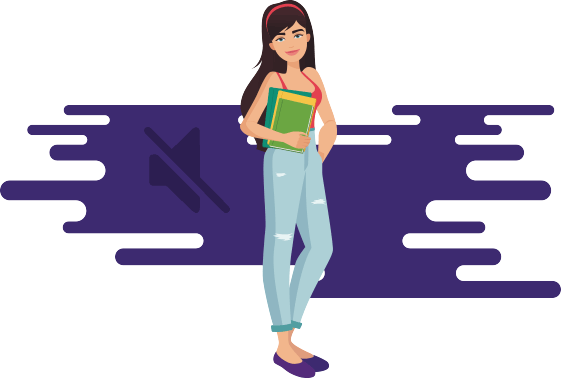 Students with dyslexia will often talk less, learn new words slower than average, and may experience a delay in learning to read from a young age. This disability cannot be cured, but can certainly be treated to improve the condition. Often times, there are tutoring services and specialized education programs to help students excel in school even with dyslexia. Below are just some tools that are useful for those with dyslexia during their college years. Learning Ally grants students with access to a plethora of audiobooks in Digital Accessible Information System format. Since students with dyslexia may experience challenges with reading, they are able to still be exposed to literary enrichment via these audiobooks instead. Howjsay Pronunciation Dictionary encourages students to recognize how words are pronounced by listening to them repeatedly. Easy Spelling Aid is designed to help improve dyslexic students’ spelling and literacy performance. It also trains them to comprehend words and expands their vocabulary. WYNN is a software designed for dyslexic students to convert their physical documents into digital files using a scanning and optical character recognition feature. Livescribe has a digital pen and software that allows individuals to conveniently convert handwritten class notes into computer files. is dedicated to spreading and promoting dyslexia awareness through advocacy, education, and research. is a resource that includes all the different assistive technologies and college tips from dyslexic students. This way, incoming dyslexic students can use this information to prepare themselves for college. 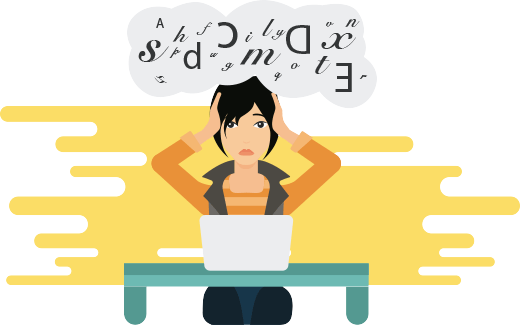 is an interesting article with some tips on applying to college as a dyslexic student. 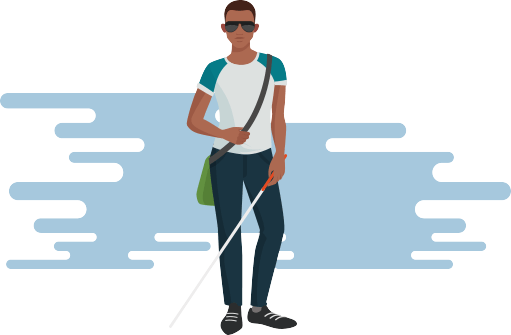 Visually impaired students can often experience obstacles in learning because their eyesight cannot be corrected to a “normal level.” There are different levels of visual impairment, and some students are blind. Blind students will often adapt to their condition and become familiar with different resources and tools to get by in life (and school). For example, they may use readers, Braille materials, and tape-recorded books and lectures to learn. Looking for some useful tools that will help visually impaired students during their college years? Take a look at some popular ones below. Voice Brief will read aloud your customized content. Set it up to read your email, tweets, text messages, news, weather, and much more. The most recent version has been updated with a more natural sounding voice. Ariadne GPS guides you with voice commands, and allows its user to explore their surroundings by simply sliding their finger across the screen as it reads aloud what is nearby. The phone will buzz as you come near street crossings or need to make turns, in addition to verbally telling you. NantMobile Money Reader reads your money so you are sure you are paying the right amount, and it will tell you how much change you are given back. This way you can be doubly sure that you are not being taken advantage of. VoiceOver is a software for visually impaired students using the OS X software (Mac). It has plenty of customizable keyboard navigation and voice settings. Additionally, it covers over 30 languages in text, supports third-party applications, and includes Braille displays. NVDA Screen Reader has similar features to VoiceOver in that it features Braille display support and has a speech synthesizer. This software is for Windows/PC users. ZoomText allows students to make text appear bigger when needed and listen to text being read out loud. Therefore, students who have a hard time seeing don’t have to keep straining their eyes during their studies. Blind individuals can easily have text read to them so they don’t have to worry about not being able to read. prepares its students who are blind with the skillsets, education, and confidence to live a fulfilling life to their utmost potential. You may apply for free access to the Perkins Library, where there are more than a half million books, newspapers, and publications that are in braille and digital audio formats. is committed to helping the blind, and here you’ll find many resources for learning, finding work, and even recreation. Autistic students often experience difficulty in building relationships with their peers and communicating with them. As a result, it can be a challenge to maneuver through college with this condition. Those with autism may also have obsessive interests and repetitive behaviors. Luckily, there are plenty of tools, software, and resources available to help autistic students thrive in the college setting. Check out some great ones below. Picture Planner is a visual calendar that allows you to use icons to organize your schedule and set event reminders. It’s great for students who are more visual learners rather than text learners. YesNo HD is a communications application created for autistic individuals to easily communicate yes or no without speaking simply by pressing a button on the screen. There are also other binary choices that can be added and personalized within the application to suit every student’s needs. Visual Steps is an instructional application with step-by-step guides on how to get something done. Again, this application is great for those who understand things best visually. Mind Reading trains autistic students to recognize emotions in other people’s faces and voices. This is critical for communicating with other students and peers, especially for group projects. Job Interview Training is perfect for those planning on transitioning into the working world. This software is designed to prepare individuals for the social experience of interviewing for a job. It is a video simulator allowing people to essentially practice and prepare for an interview. is an organization that promotes the public advocacy and research for autism. is a network with awesome blog articles written by current and past college students with autism. They are able to share their experiences, provide insight and advice to others, and discuss their condition in relation to campus life. New college students with autism would benefit from checking this website out to learn about how students with the same condition have done to survive college. is a college support program designed to give students the opportunity to network, find mentors, and receive coaching as needed. It focuses on the academic success of students with disabilities, one of which is autism. There are a plethora of physical disabilities that students have. Some examples include immobility, respiratory disorders, epilepsy, speech problems, and other impairments that may hinder the comfort of daily living. Depending on your needs and condition, the following tools may be useful in helping you to get through college. There are also plenty of online resources designed for students with physical disabilities to learn more effectively with their condition. Say Hi! AAC is an application that helps the physically disabled to communicate with others, by tapping the screen to display words or sounds. Dexteria turns your tablet or phone into a tool that helps improve your fine motor skills. You’ll do various motions with your fingers throughout the many exercises provided by this application. TalkBoard is another great application to help the physically disabled communicate with others. You can create boards with the most common words you use, to quickly and easily access them to form sentences that others will understand. Grid 3 is a powerful program that allows its user to control their computer with many different types of access. You can use switch technology, touch and pointing devices, and eye gaze to navigate through your computer. Co:Writer Universal is a powerful word prediction program that makes writing out your thoughts and questions much easier, so that others may better understand you. Dwell Clicker 2 allows you to use a mouse without clicking buttons. This is a great program for those who use a head pointer or a joystick. provides assistance and resources for students with disabilities to be sure they are being properly accommodated. This organization also helps to make sure your educational institute is implementing the National Instructional Materials Accessibility Standards. is a lifestyle magazine for the physically disabled. It covers many important topics and current events that are relevant to its audience, with a supportive community. will help you plan any trips you may have, and to find places that are accommodating to the physically disabled. Those who are hearing impaired or deaf may have difficulty in communicating with others. They rely heavily on sign language and written or printed text. They often develop lip-reading skills from young to convey what others are saying even though they may not be able to hear anything. Not being able to hear sound can be difficult in the classroom, but it’s not impossible to do well in school with hearing impairment. The following tools and resources are extremely helpful in making sure students are not missing out on lecture material and communicating with their peers. Dragon Dictation can be used to record and transcribe class lectures so you can participate in class, and review the lecture from the text. Skype allows for free video calling so that you can sign with friends and colleagues. Easily communicate with other students who use ASL, or through text. Z5 Mobile is an application specially made for the deaf and hard of hearing. You can make calls over WiFi or cellular connection, and make or receive ZVRS, VP, VCO Plus, and HolaVRS. Purple gives the highest quality communication services for the deaf and hard of hearing. Use purple to have an interpreter communicate for you to those who do not understand ASL. Dragon is a fantastic way for non-deaf individuals to communicate with others quickly, as this software will transcribe what they are saying instantly. has an extensive library of videos with captions and descriptions. There are over 4,000 captioned media titles here for free. has a mission to make more educational and lifetime choices available to those who are deaf or hard of hearing. Attention deficit hyperactivity disorder (ADHD) may interfere with a student’s ability to control their impulses and pay attention in class when they need to. The disorder can also result in low self-esteem and troubled relationships. Unfortunately, this chronic condition cannot be cured. However, treatment may help, and usually take the form of medication and talk therapy. Additionally, there are a handful of resources out there designed to help students with ADHD to maintain focus on their work and get their studying done. The below mobile applications, technology software, and online resources have been helpful to many ADHD college students. Focus@Will is an effective application to help ADHD students focus on their studies. Having ADHD makes getting distracted incredibly easy. With this application, you can set a schedule to complete tasks, and stick to those tasks to completion. This application uses specific types of music to help you focus and get your studying done. Habit RPG is a great way to ‘gamify’ your tasks. All the things you need to do each day, are turned into little monsters you must defeat by actually completing the task. 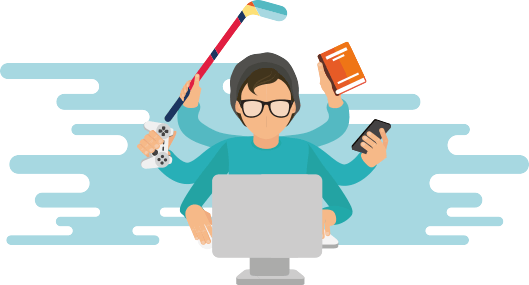 Your character progresses in the game as you complete more of your important tasks like completing homework assignments and attending classes. Home Routines will help ADHD students to complete your daily and weekly tasks. It will help remind you and keep you on track with your day to day activities. read&write can help ADHD students tremendously by having text to speech output. Hearing the words spoken to you will oftentimes help a student better comprehend what they are reading. Evernote is a fantastic way to keep track of all your notes, thoughts, and to-do lists. It can be used across all devices, significantly helping you to not forget anything and stay organized. MindNode is a unique way to outline your thoughts and notes. Using this program can help some with ADHD to better retain the information they are learning, and to stay focused with how interactive the program is. is a huge resource for anyone with ADHD, with a specific section just for college students. 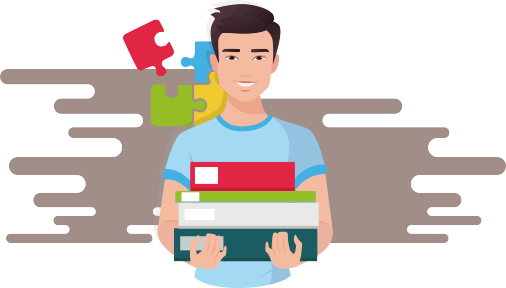 Find everything you’d need at this site, from ADHD-friendly colleges, preparation for your first year of college, how to ace all your exams and develop good study habits, and much more. will help you by providing a great online community full of others with ADHD, to help you navigate your way through college life effectively. Hear success stories and where to find professional in-person help. This resource also has a section dedicated to college students. Speech impairments can cause a student to be very withdrawn from class participation, as they either cannot speak verbally at all, or have problems with pronunciation, rate of speech - such as stuttering, long pauses, lots of filler words, or unable to control voice volume and pitch. Even students who have learned to cope with their speech impairment could have prior anxieties flare up in new situations within the classroom. 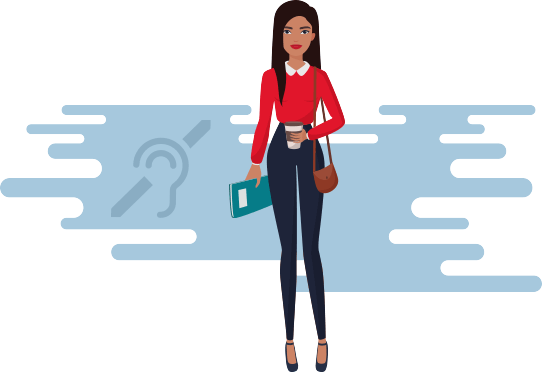 There are many resources, from mobile applications, to computer software, and online support groups to help students with speech impairments make the most of their post-secondary education. If you or someone you know has a speech impairment, be sure to go through this list of helpful resources. Proloquo2Go is one of the most used assistive communications applications available today. It has natural sounding text-to-speech voices, over 7,000 words with pictures, and is expandable. This application is most often used to help autistic children learn to speak, and is a great way for anyone with a speech impairment to practice pronunciation and good speech patterns. Speech Assistant AAC is an easy to use application where the user can create categories for what they need to talk about the most, and easily tap on the words to form sentences and communicate with others. It is also useful for practicing speech, and is fully customizable. Verbally can be found on Apple products only, and is another one of the leading applications for those with speech disabilities. The layout of the most commonly used words, reduces the amount of taps necessary for the user to effectively communicate with another. It is also a free application, and you may choose between male and female voices. Dragon is a widely recognized speech to text program, which can also read what you write in a natural language. Support for this software is extensive and easy to use. NaturalReader has a free online portion where you can type in text, or copy and paste text, and it will read it back aloud. This would be a great option for those with just Internet access and needing to communicate with someone else. There are several voices to choose from, with different accents as well. Ivona is constantly researching and developing text to speech voices that can naturally read whatever you type. is a fantastic support group that can be accessed online. Find local support groups, speech pathologists, and more on this site to assist you through college. will help you find other local support groups, assistive technology, organizations, and online forums to discuss with others who also have speech disabilities. Of course, each college will differ in the services and resources they offer. With that said, it’s recommended that students and parents conduct research at home, and ask faculty of potential colleges regarding the different types of accommodations that will be available at the school. Understand and know your rights as a disabled student. Section 504 of the Rehabilitation Act of 1973 suggests that students with disabilities must receive equal access to educational services as those who do not have disabilities. Specifically, the law covers all students "with a physical or mental impairment which substantially limits one or more major life activities. People who have a history of, or who are regarded as having a physical or mental impairment that substantially limits one or more major life activities, are also covered. Major life activities include caring for one's self, walking, seeing, hearing, speaking, breathing, working, performing manual tasks, and learning." Students and parents should familiarize themselves with the entire document to become aware of the responsibilities a school has to fufill for disabled students. An exciting part about attending college is that for many young adults, it's their first time living away from home and independently. With that said, parents should work hard with their disabled child to simulate independent living. By teaching your prospective college student how to complete basic tasks like managing money or completing chores such as doing laundry, your child will feel more at ease and be more prepared for what college has to offer. It's best to start practicing the independent lifestyle in high school rather than wait until the first year of college. 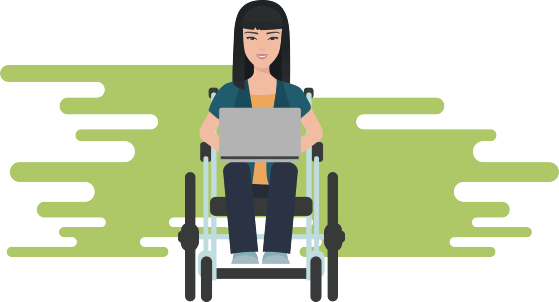 While there are plenty of resources and assistive technology available to disabled students, it's important to know that sometimes, you'll have to speak up if you need something. Compared to high school, coursework in college is often more challenging and intense. With that said, it's important to know how you study best and plan your work flow from there. If you need a specific type of assistive technology, it my be worth while to reach out to your professors earlier rather than later to get that all set up. Even though most colleges today are taking a proactive role in making their campuses and classrooms for “user-friendly” for students with disabilities, it is always helpful for students and parents to familiarize themselves with the ample resources available out there to maximize learning potential. Depending on the disability, students may have additional needs that require attention. By taking advantage of all the technological resources, applications, and software made for assisting disabled students in the classroom, students may find it a lot easier to perform well in school. These tools will not only help them get by during their school years, but will likely come in handy in the years to come afterward as well!